Practice and Play Saturdays Only League! Ages 9-12 : 11:30am - 12:30 p.m. Signing up for the Saturday Only ANTS Practice and Play League is easy! Simply follow the 3 steps below. We separate children based on age and ability. Simply begin by registering your child for their age and ability division. Each registration includes 6 Saturday Practices and Play Days, coached and directed by ANTS certified and trained Coaches, Linesmen/Women, and Referees! Practice and Play Days are held every Saturday for 1 hour. ANTS Certified and Trained coaches will coach your child every Saturday. The first 30 minutes children will focus on learning and practicing elements of the Tennis game. The second 30 minutes children will focus on playing tennis against other children of their same ability and age! Form a Team of Friends! Practice makes perfect! If you want to, create an ANTS team filled with friends and practice during the week. You decide when and where to practice, making it convenient for your schedule. All that is needed is a parent volunteer coach to go through an ANTS Training Program! 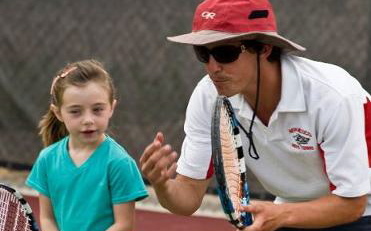 ANTS Tennis will provide your team with age-appropriate equipment and a coaches training for FREE! Click Here for court locations in SF. ANTS Tennis is a firm believer in PRACTICE AND PLAY, which is exactly why we run our Saturdays Only Practice And Play League. We create a fun, safe, supportive environment on Saturdays that is focused entirely on learning, healthy competition, and falling in love with the game of tennis. Saturdays are comprised of a 30-minute practice that is conducted by our ANTS certified coaches, and then a 30 minute match that is monitored by ANTS Staff. The staff and coaches are there during play to help teach, support, regulate, and create an environment that is all about healthy enjoyment of sport! Mini singles tournaments are determined by age and/or ability and created so everyone is guaranteed 2 matches after their 30-minute practice. The last Saturday is a full blown singles tournament meant to determine the champions of the season! What about team practice during the week? ANTS strongly encourages a team environment and encourages you the parents to recruit a team to surround your child with, and become and ANTS Parent Volunteer Coach for your weekday practices! We will help support organization of interest in age-groups and locations, but leave organizing week practices, times, and exact locations entirely up to you! You as a parent-volunteer coach can practice as little or as much as you would like at any tennis location across the city as you would like during the week! We at ANTS will be waiting to have a blast on Saturdays during our Practice and Play league! What ability is this league for? All abilities! When practicing and playing matches they are grouped by age and/or ability (beginner, intermediate, advanced). Players will have the opportunity to move both up and down!